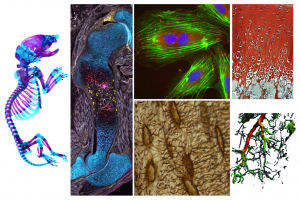 A postdoctoral position is available in the Developmental Mechanobiology and Regeneration lab of Joel Boerckel at the University of Pennsylvania in Philadelphia, PA, USA (http://www.med.upenn.edu/orl/boerckellab/). Our laboratory is housed in the Departments of Orthopaedic Surgery and Bioengineering and studies how mechanical cues direct morphogenesis, repair, and regeneration. A major focus of the lab is understanding how the transcriptional co-activators YAP and TAZ mediate progenitor cell mechanosensation, motility, and differentiation during development and regeneration. We are looking for postdoctoral fellows with backgrounds in either cell and developmental biology or bioengineering to join our multidisciplinary team. NIH-funded projects are available to define the roles of YAP and TAZ in osteoprogenitor cell mobilization, mechanical regulation of endochondral ossification, and development-mimetic tissue engineering. Projects feature a combination of cell and bioreactor culture, biomaterials, and animal modeling using transgenic mice and rats. Regular interactions with world-class colleagues and visiting speakers through the Penn Center for Musculoskeletal Diseases (https://www.med.upenn.edu/pcmd) and the Center for Engineering Mechanobiology (https://cemb.upenn.edu/) at UPenn. Supportive mentorship for multi-faceted career development and opportunities tailored towards individual career goals. A stimulating environment with freedom to develop new research directions. An NIH funded position at NRSA postdoctoral stipend levels (with potential for renewal up to four additional years). A department located in a dynamic East-coast city with affordable cost of living. Enthusiastic and ambitious individuals with a strong interest in our research and a collaborative and collegial laboratory environment. Fearlessness in learning new techniques and designing projects independently. Willingness to apply for applicable postdoctoral fellowships and eagerness to take advantage of other career development opportunities. Interest in working with junior lab members and summer undergraduates. Start date immediately or upon mutual agreement.